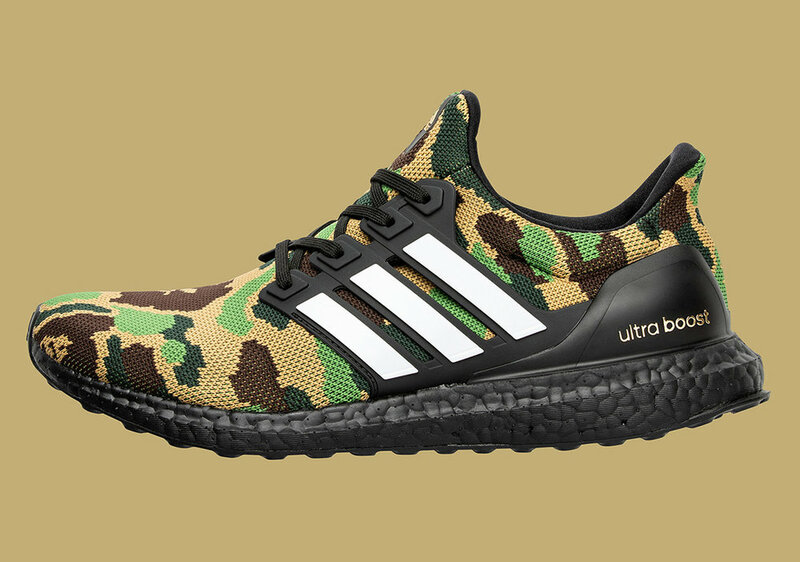 Are You Copping the BAPE x Adidas Ultraboost? Collaborations between BAPE and Adidas are nothing new, but they always release some heat that flies off the shelves. From the most recent Adicolor collection to the last sneaker collab with the NMD R1, it seems like everything BAPE touches becomes highly anticipated and highly desired. This latest collaboration is no different. Arguably the most anticipated release from the duo, the BAPE x Adidas Ultraboost is a streetwear lover’s dream. Releasing as part of a Superbowl inspired collection, the pieces are all football inspired. The Ultraboost utilizes that signature Primeknit for the upper and is covered in BAPE’s ape head camo. Adding a bit of contrast, the black upper cage features bright white for those iconic three stripes. The sneakers sit atop a black Boost midsole and are finished with black laces. Taking cues from America’s biggest sporting event of the year, the BAPE logo is printed as the American flag. Other standout details are the gold Adidas branding on the heel cup and tongue. 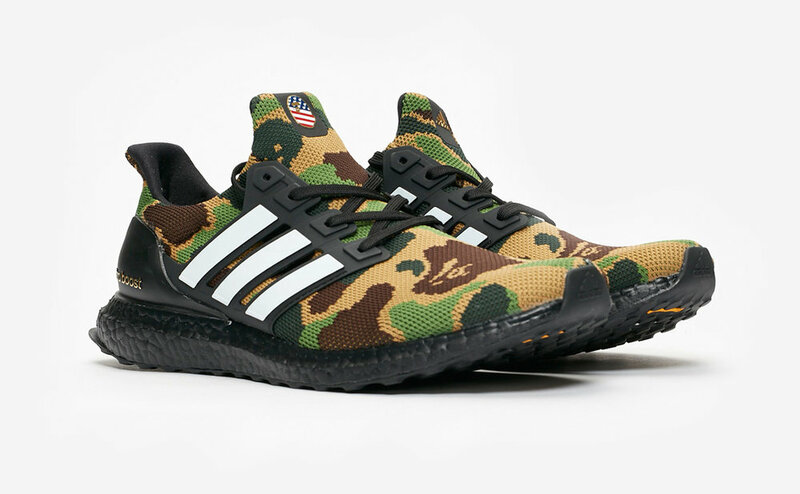 BAPE and Adidas’ Ultraboost and the rest of the Superbowl collection is set to release February 2 at 9AM CST. The Ultraboost will retail for $200 USD. While we hope your favorite team pulls out a win this Superbowl Sunday, we hope you guys also take a W copping these kicks. You can SHOP THE SNEAKS below on release day as well as sign up for a couple of raffles now. Good Luck! Let’s get into this color!